Many of us grew up without questioning the practice of idling our cars — especially in frigid temperatures. Most car-owners assume that vehicles need to warm up before driving. In reality, this is an outdated myth. The truth about idling your car is that it’s not only wasteful, it can actually be harmful to your engine. It seems natural to run out into the cold and turn on the car to let the engine warm itself up, but this habit really could have ended in the 1980s. If the goal is to help the engine work more efficiently, the automobile industry stopped using carburetors that needed to be warm before driving. With modern vehicles utilizing electronic fuel injections instead, idling your car doesn’t serve a real purpose anymore. Stephen Ciatti, a drag racer with a PhD in mechanical engineering, described to Business Inside that the idling practice actually cam shorten the lifespan of your engine. This is because idling in cold weather removes critical components from your oil. The engine itself does not heat up faster while idling. The faster way to warm up your engine is to start driving within 30 seconds to one minute of starting it. This also doesn’t mean you should speed out of your driveway. It’s better to be gentle on the pedal for the first few miles. When we think of ways to save gas, idling is usually the last thing on the list. As noted by sustainableamerica.org, two minutes of idling is equal to one mile of driving. This may not seem like much, but it’s also estimated that the average American spends 16 minutes a day idling. This means Americans are wasting eight miles a day and almost 60 miles a week just from idling! 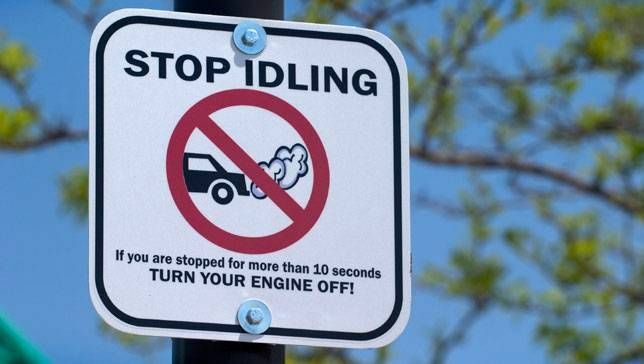 Cutting your idling time is better for your pocket and the planet. As Road and Track suggested, if you will be idling for over 10 seconds, it’s better just to turn the engine off.